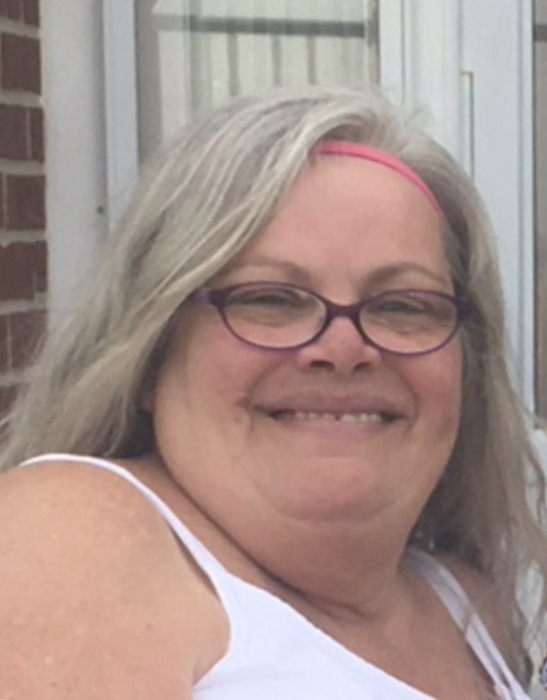 Evette (Gay) Townsend, 58 passed away suddenly on Tuesday, September 4, 2018 at 1:13 pm. Evette was born January 29, 1960 to Xen Small I and Sonya (Phifer) Bornman in Elwood, Indiana. She was a 1978 graduate of Hamilton Heights High School. Evette married Bart Townsend at their home in Atlanta, IN on Valentine’s Day in 1997. They only spent a few short months as husband and wife, Bart passed away four months later, but their love lived on. Evette worked as a bartender and cook at the Elk’s Lodge. She enjoyed serving the poker players. Evette enjoyed reading, any genre of books would do! She loved music and was often found singing and dancing! One of her favorite things to do was babysitting her two very special great nieces. Evette had so much love and joy to spread to her family, her presence will be dearly missed. Those left to carry on Evette’s legacy of love are her Sons Keith Baxter and Nick (Krista) King; grandson Jackson King; siblings Xen (Anita) Small II, Gino (Debbie) Small, Danielle (Micah) Thompson, Jamie (Amy) James, and Tracey Patrick; Step-Dad Murray James; 14 nieces and nephews along with 16 great nieces and nephews; and several aunts and uncles. Evette was preceded in death by her husband Bart Townsend and her parents Xen Small I and Sonya Bornman. A memorial service to celebrate Evette will be held on Sunday, September 9, 2018 at Taylor & Cowan Funeral Home and Cremation Services, located at 314 N Main St. in Tipton at 4:00pm. Pastor Johnnie Blair Jr. will be officiating. Visitation for family and friends will be held prior to service from 1:00pm to 4:00pm. Burial will take place on Monday, September 10, 2018 at Arcadia Cemetery at 12:30pm. Please feel free to leave an online condolence or special memory. In lieu of flowers, memorial contributions may be made to the funeral home to assist with funeral expenses.